I have known the potential dangers of having amalgam fillings for many years now, but it was not until March 2017 that I had all 12 of my amalgam fillings replaced. I have experienced many direct and indirect health problems related to having amalgam fillings, including tight jaw muscles, inflamed gums, inflamed sinuses and mouth ulcers. I have had fillings since I was around six years old. I know this because I remember having a baby tooth come out with a filling in it! So that means I’ve gradually increased the number of amalgam fillings in my mouth over the last 25 years or so to the point where I ended up with 12. Actually, I had 13 amalgam fillings at one point but one was replaced with a white composite filling when I had a root canal. 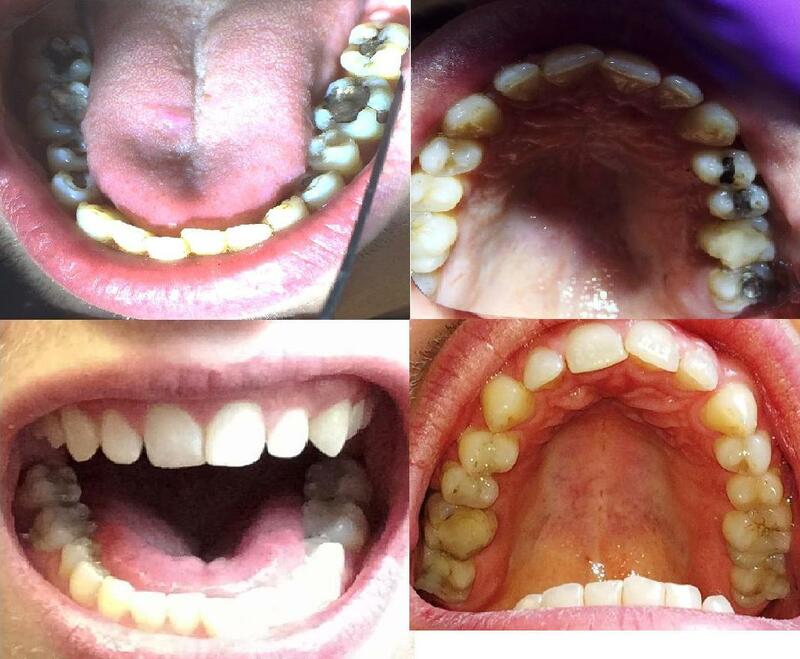 You can see it in the top right picture below (between the three amalgam fillings). before (top) and after (bottom) images of my teeth after having my amalgam fillings replaced. 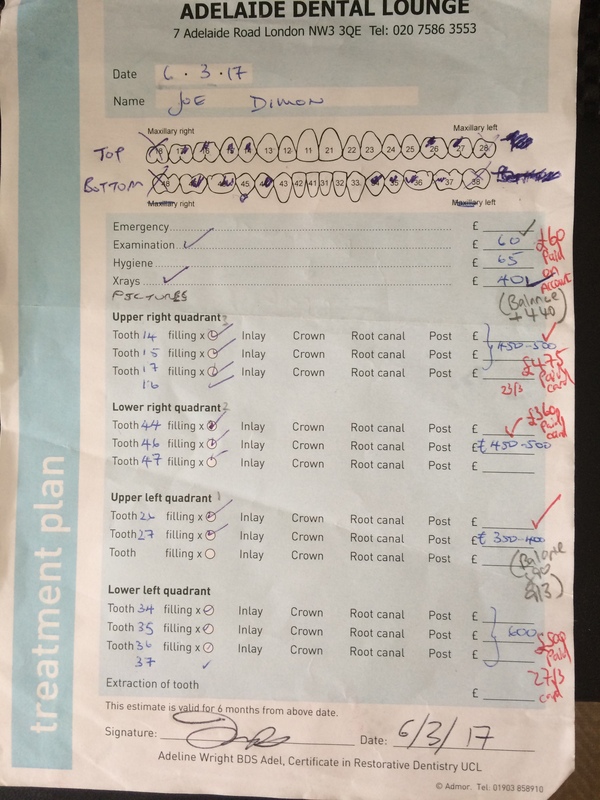 Even though I had all these amalgam fillings the side effects I experienced were fairly mild (I was lucky with my genetics), unlike some people who find themselves with very serious side effects. That said, if I’d left them in for many more years the symptoms MAY have become worse. Anyway, I wasn’t willing to take that chance. The symptoms I experienced were more sources of irritation than some of the more serious problems that can arise. 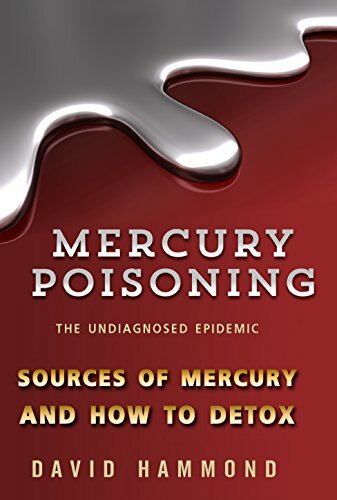 There are dozens and dozens of nasty symptoms directly and indirectly related to mercury, including Cardiovascular problems, periodontal disease, kidney disease and thyroiditis. Again, it all depends on the individual and the type of amalgam fillings they have. 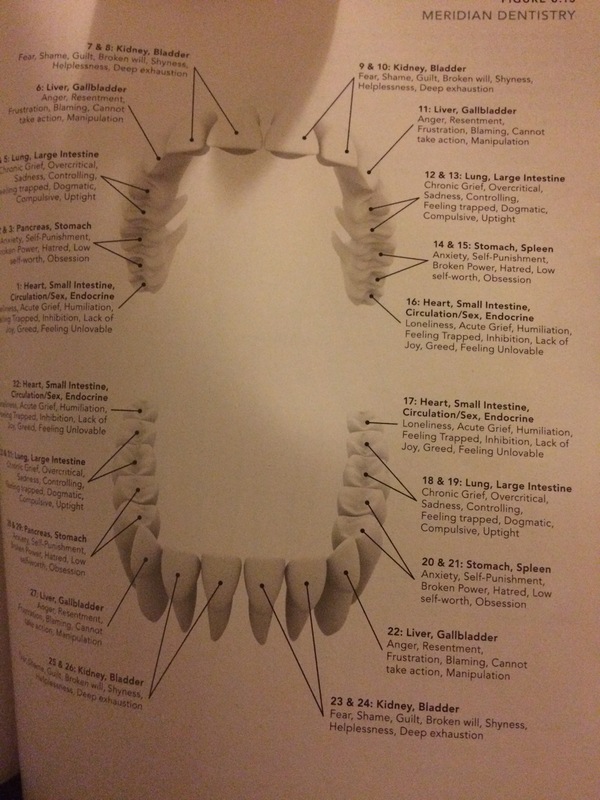 In the picture below, taken from Cyndi Dale’s book entitled The Subtle Body: An Encyclopedia of Your Energetic Anatomy, you can see how the teeth are connected to the meridian system. This basically shows how having mercury fillings or infections in certain teeth can have an effect on certain organs in the body over time. You can read more on biological dentistry at Dr Mercola’s website here. Having any other type of work done on your teeth by a regular dentist is OK, it’s just best to be fully protected when having amalgam fillings replaced. Biological dentists do a more thorough job of stopping the vapours and bits of old filling from going into your mouth, down your throat and onto your face when taking them out. If this happens it can potentially make you unwell. 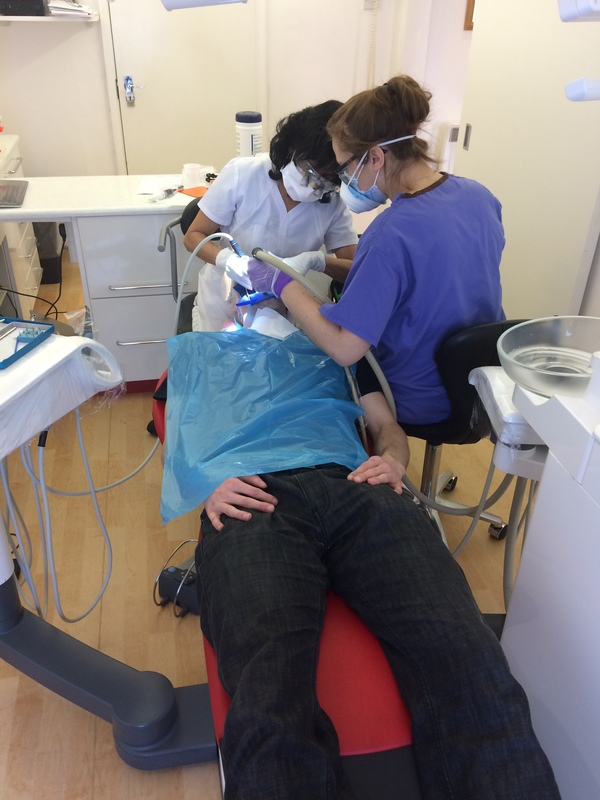 This is me having my fillings removed by the biological dentist. 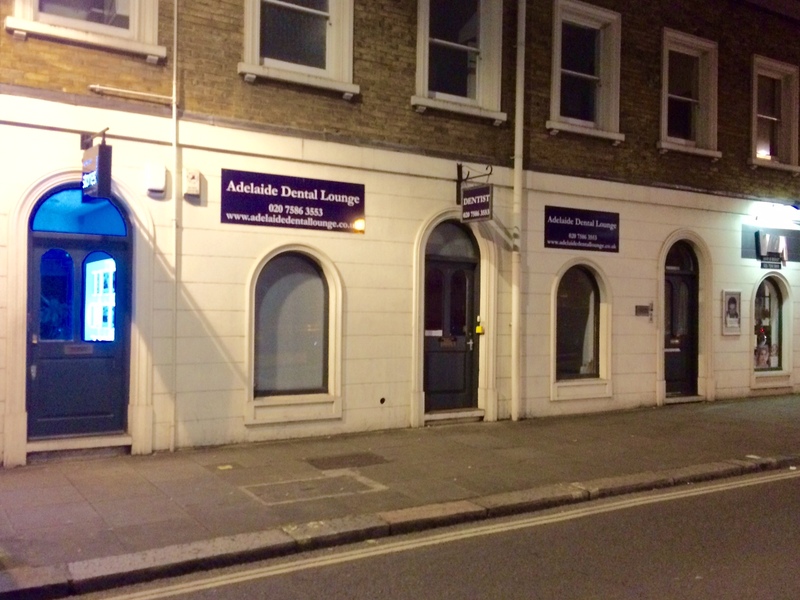 I had my work done at the Adelaide Dental Lounge in Chalk Farm, London. The dentist who practises there is Adeline Wright. If you live in or near to London and want to have your fillings replaced I highly recommend you go and see her. As you can see in the pictures of my teeth above, she did a great job. 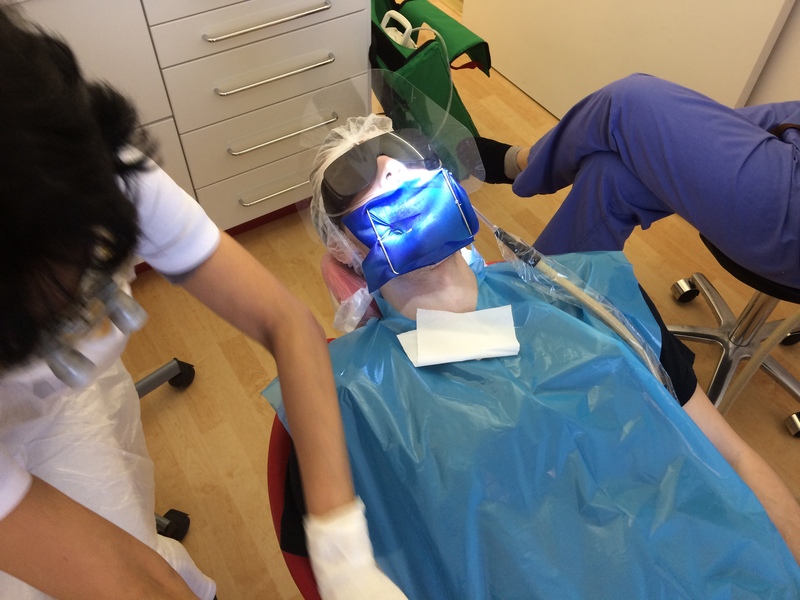 I had my fillings changed over four appointments – top left, top right, bottom right, then bottom left quadrant – but you can choose to have the replacements made over whatever time frame suits you – as quickly as all at once, or as slowly as one at a time over a much longer period. It’s entirely up to you. Each of my sessions took between 1.5-2 hours. She used a wedge to help keep my mouth open during this time and followed all the IAOMT procedures a biological dentist should follow when removing amalgam fillings. For the total treatment I paid just under £2000. £1890 to be exact. This also included the initial examination, X-rays and a hygiene session. The cost for the actual fillings was £1725. Dividing £1725 by 12 (the number of fillings) comes to £143.75 per tooth on average. Obviously a larger, more complicated filling will cost more than a smaller, simpler one. After all my fillings had been replaced I went on a two-month heavy-metal detox using the metal-free spray, which is meant to be the most effective heavy-metal detox product ever made, along with a liver support/detox and colon cleanse. 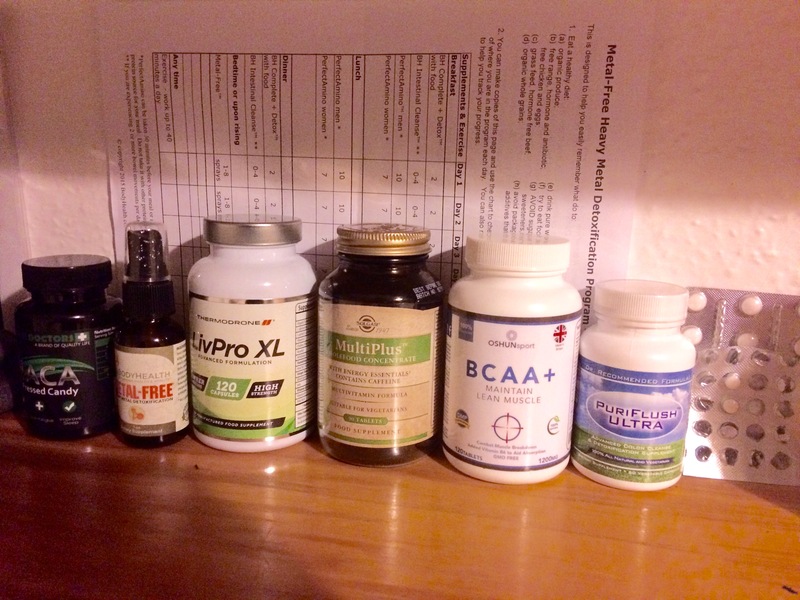 I also took other supplements to support my immune system. I based these supplements around the Metal-Free programme. I also do my best to look after myself, so the detoxing wasn’t too bad. Also, see Dr. Pompa’s website on the 5R’s of cellular detox and healing. He also has loads of videos on his YouTube channel on Mercury poisoning and detoxing. 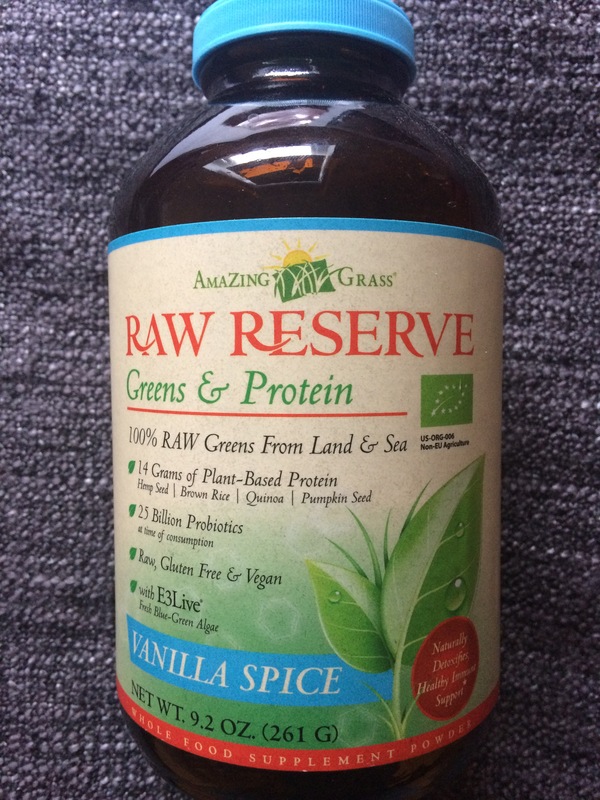 It’s a very good idea to get your body as well as possible before having any fillings replaced, as your immune system can take a big hit, so for a few weeks beforehand I used this combination of greens, protein and probiotics, along with detox footpads. 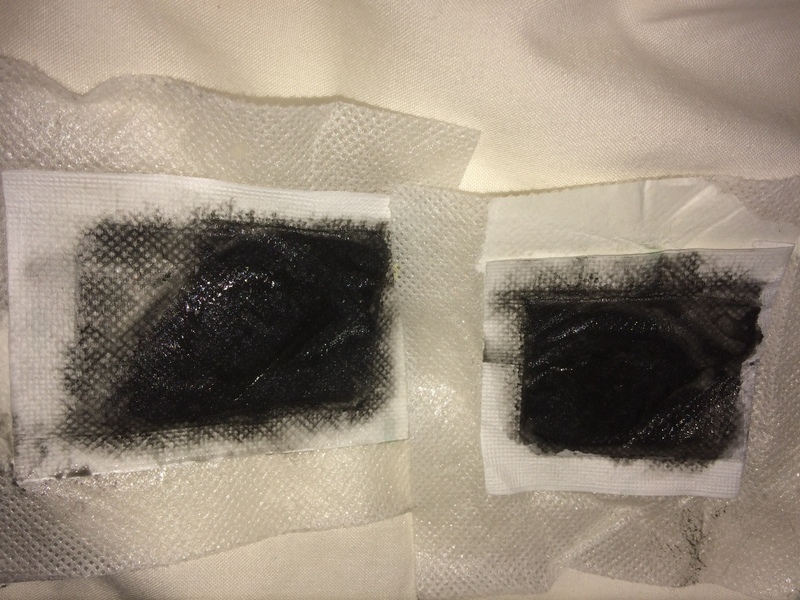 These are the before and after shots of the footpads I used. 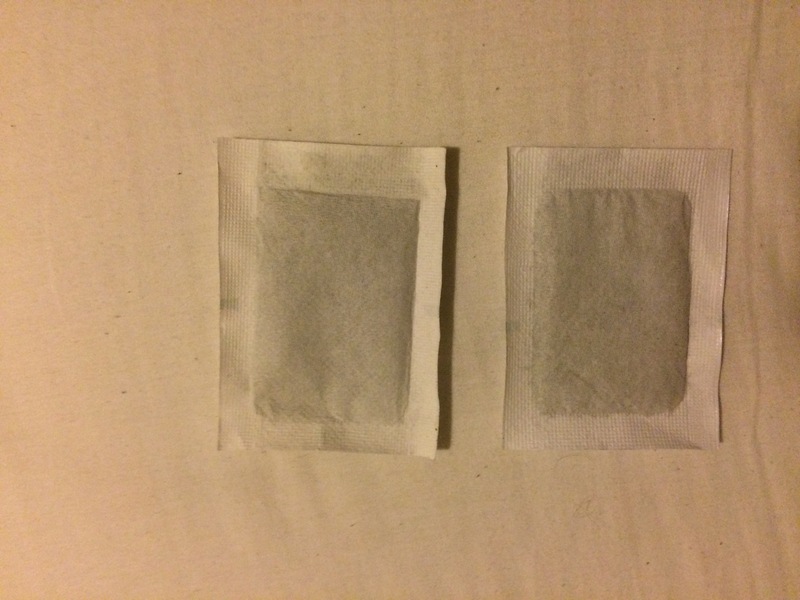 There are questions around how effective they are, but they’re worth testing out as you can get a load from Amazon for around £10. See Dr Mercolas website for more information on them. I hope you found this article helpful, particularly if you are thinking of having your amalgam fillings replaced. For a more detailed overview on the dangers and symptoms of amalgam fillings, see Dr Mercola’s articles here. This website gives a comprehensive list of symptoms of mercury poisoning and how these are affected by having amalgam fillings removed. Evolvedental.com.au and DentalWellness4u.com provide a comprehensive list of how amalgam fillings can affect us. ← God of War: Have you seen the new gameplay trailer?